Kaplan Thompson Architects, the firm behind Parris Terraces, will be hosting the event, which will include an opening presentation, a tour with project experts, and a closing reception/Q&A. Parris Terraces is a unique effort to create affordable homeownership in the City of Portland. The project will create twenty-three new homes that are affordable to people making up to 120% of median income without any subsidies, either local, state or federal. 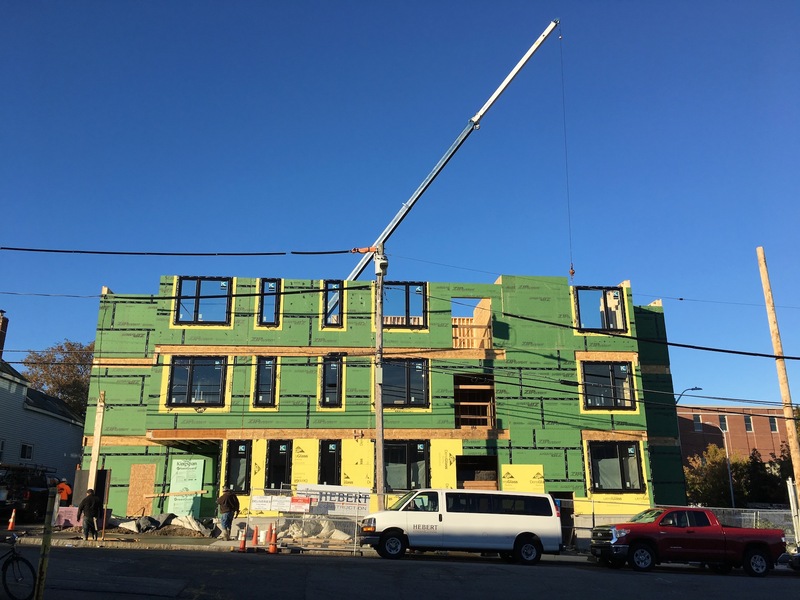 A goal of Passive House air tightness, continuous insulation and right sized mechanical systems make this project the most efficient condominium project ever built in the city of Portland. Event attendees will learn about the design decisions and building strategies that are making this possible.